Good Charlotte have been announced as one of the headliners for Slam Dunk Festival 2018. 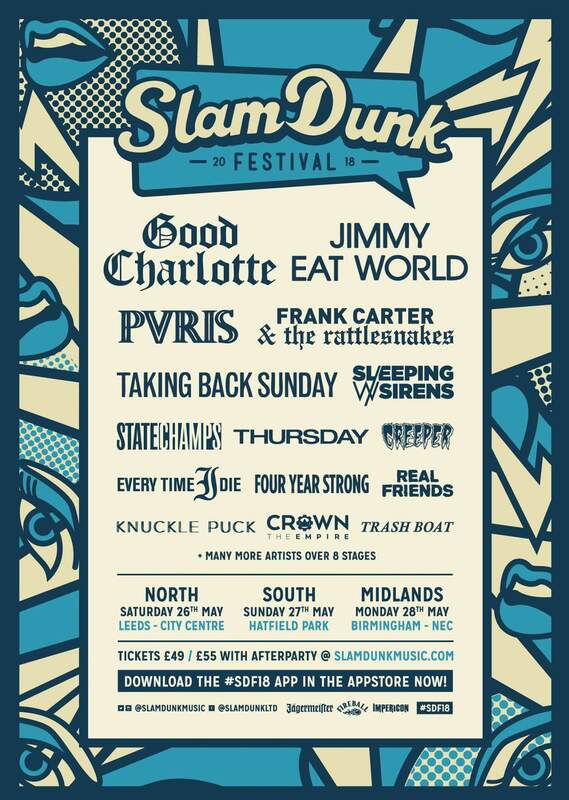 The band will play all three dates of the pop punk and emo-led festival in Leeds, Hatfield and Birmingham. Good Charlotte’s appearance at Slam Dunk 2018 was announced on the Radio 1 Rock Show – you can hear the episode here (the announcement is about 28 minutes in and is followed by Lifestyles of the Rich and Famous). Good Charlotte have not previously played Slam Dunk Festival, although they’ve played Reading and Leeds, V Festival and Download Festival previously. Tickets are on sale now and cost from £45.